UK - The Royal Academy of Dramatic Art (RADA) is a drama school in London. It was founded in 1904 as The Academy of Dramatic Art by Herbert Beerbohm Tree and received its Royal Charter in 1920. RADA is one of the most famous drama schools in the world and is consistently measured as being among the very best. RADA's history of unparalleled formal theatre training has yielded a list of alumni that constitutes a roll call of the finest and most distinguished performers in the history of stage and screen. Peter O Toole, Glenda Jackson, Anthony Hopkins and Kenneth Branagh are but a few its internationally revered alumni. Home to five theatres and a cinema, RADA selects not only from thousands of actors who audition for places but also from designers and technicians for whom it provides exceptional vocational training, equipping them for future careers in theatre, film, television and related media. Many RADA graduates maintain a lifetime's career in the industry and whether behind the scenes or on stage and screen, are acknowledged as powerful drivers of change and development at the cutting edge of their professions. RADA students who study the school's Technical Theatre and Stage Management degree enjoy a rich and diverse vocational and practical training in all areas of theatre production. Students are involved in a great deal of in-depth, career-focussed technical instruction and they begin by working as crew and operators on public RADA productions, alongside professional directors and designers. During the course of their studies they progress to occupying senior positions on those productions, one of which is the highly challenging role of stage manager. 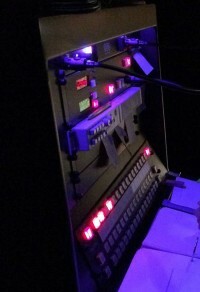 In 2014 RADA's head of stage management, Dave Salter and head of lighting, Matt Prentice had made enquiries with GDS requesting information about stage manager's consoles. RADA's existing provision consisted of two antiquated and increasingly unreliable consoles which they considered to be in urgent need of either a major overhaul or replacement. When new head of sound, Steve Mayo joined RADA from The Barbican at the beginning of 2015, he immediately identified the inadequacy of the existing consoles as a major issue. Given the fact that the depth and intensity of technical training at RADA is very much conducted in 'real life' situations, much of its value comes from hands-on experience with state-of-the-art equipment that students might expect to encounter throughout the theatre world. As a consequence of the deterioration in existing provision, all the key technical staff at RADA were agreed that urgent action was required. RADA followed up its earlier contact with GDS. The in-house team consulted over specific requirements with their production manager and in February, orders for two GDS SM consoles were placed. At the end of May, RADA took delivery of two identical consoles. These were placed into the Jerwood Vanbrugh Theatre and the John Gielgud Theatre, both at the school's Malet Street site. The former has a capacity of 183 whilst the latter is a small black-box theatre with a capacity of 70. On this occasion the consoles were tailored to meet RADA's teaching needs as well as the anticipated requirements of the school's diverse productions. Whereas different consoles might usually be tailored towards different spaces, at RADA, the teaching benefits of having two identical consoles, interchangeable between venues was considered advantageous. By investing in GDS SM Consoles, RADA was not only putting in place a solution for its immediate needs but seizing the opportunity to forge a very strong practical link between training and the future experience of its students as working professionals. Rather more than a desirable option, GDS SM Consoles are becoming an essential part of the fabric of modern theatres, a fact which the staff at RADA were quick to recognise and act upon. Matt Lloyd, managing director at GDS was delighted by RADA's decision to invest in SM Console: "The importance of the stage manager in every theatre production cannot be overstated. He or she is at the heart of every production, supporting all aspects of a show from time-keeping to the accurate execution of every cue in the right order and on time. The job is perhaps one of the most highly pressured of any in the theatre. Some years ago, working closely alongside some of the leading exponents of the profession, we reviewed the way in which the industry approached this essential piece of equipment and began manufacturing our SM Console with a brief centred on the very specific requirements of the operator. One of the people we worked with during the development stage of the console was Antonia Collins, currently head of entertainment technology, management and design at The Hong Kong Academy of Performing Arts, who was not only a vastly experienced stage manager and board member of the Stage Manager's Association but also at the time was departmental head at the hugely respected Royal Welsh College of Music and Drama. Her insight and sharp focus on creating something that 'worked' for its operator in the heat of battle, if you will, was at the core of the concept. To have RADA, perhaps the most famous Drama School of them all, acknowledge the indispensability of the GDS stage manager's console to the wider industry, is a real honour and a tribute to its success." Following examples such as LAMDA, Rose Bruford College and Central School of Speech and Drama, RADA is the latest in a lengthening list of top drama schools turning towards the GDS SM console as a key part in the training of future stage managers. 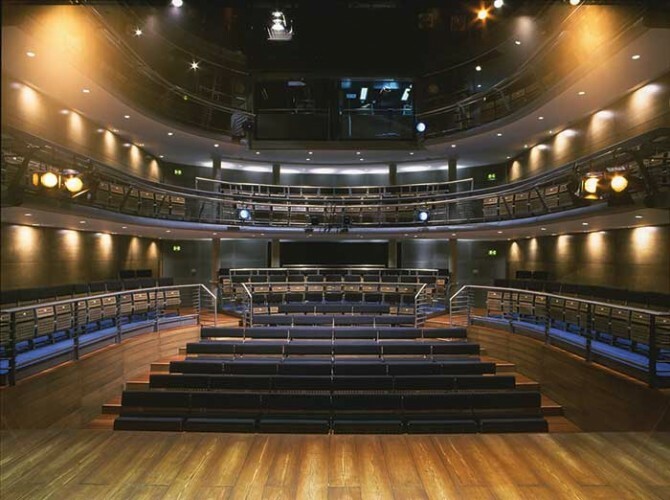 Another hotbed of theatre training, The Royal Scottish Conservatoire – the busiest performing arts venue in Scotland – has recently ordered two SM consoles, as has the iconic Lowry Theatre in Salford.